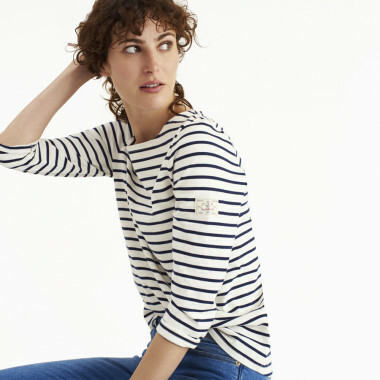 Joules navy and cream harbour jersey top, 100% cotton, three quarter length sleeves. This much-loved striped Harbour jersey top is back. With three quarter length sleeves, it’s no wonder its one of your all-time favourites. A true wear-it-anywhere essential. Relaxed fit, round neck, curved hem. 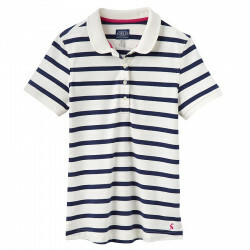 Tom Joule polo shirt with cream and navy stripes, slim fit, fancy and trendy.